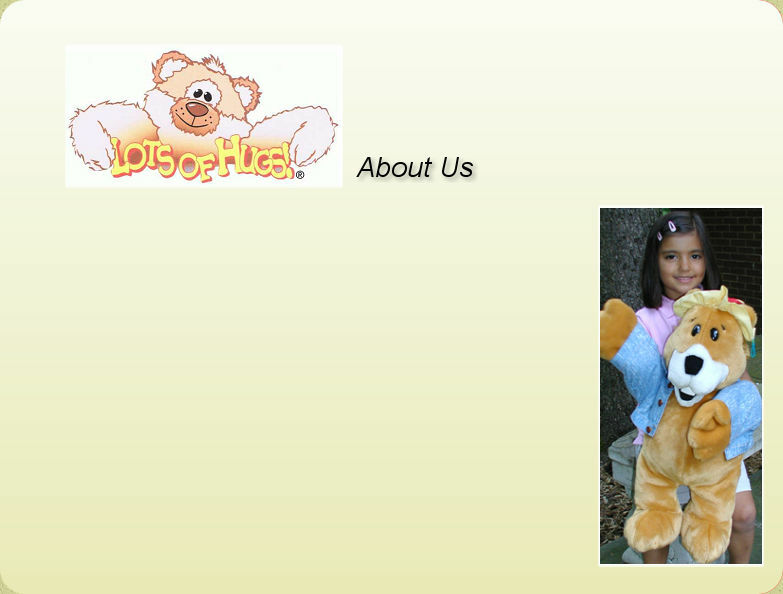 Our Mission is to make a Huggable difference in the World. Lots Of Hugs wants to make it possible for everyone to HUG and be HUGGED. There is no greater emotional feeling between people then a great big HUG. We own the only patented HUG in the World. They are a line of stuffed animals with the unique interactive ability to virtually come alive when you place your arms into theirs. Whether you are happy or sad, celebrating or consoling, everyone needs a HUG. You need a HUG night or day when you’re all alone or when you just feel alone. Lots Of Hugs wants everyone to get a HUG!